Interesting week this week. I am looking forward all of the titles on my pull list this week, but some are on the bottom of the pile (save the best for last): Batman, Green Lantern, Resurrection Man, and Suicide Squad. Legion Lost and Superboy continue The Culling cross-over, which will introduce The Ravengers coming out later this month. Lots of good stuff coming out from DC, but I had to move a couple of titles off my pull list, and onto my reading list: Deathstroke and Grifter. Rob Liefeld has taken over writing on both and art on Deathstroke, and I have a strong feeling that these books are going to get the axe soon. I'm reading them to see if I can stomach his art and writing. We will see if either of these books makes it back onto my pull list...doubtful. I want to commend Marvel for finally doing the right thing and supporting local comic book shops through Comixology. Late to the party, but we are glad you are here. The week also marks the first time all of the titles on my pull and reading lists are available on Comixology where you can support Comics Conspiracy when you buy your digital comics. Finally! I am still a little bit behind in my reading , but hopefully I will catch up this week. 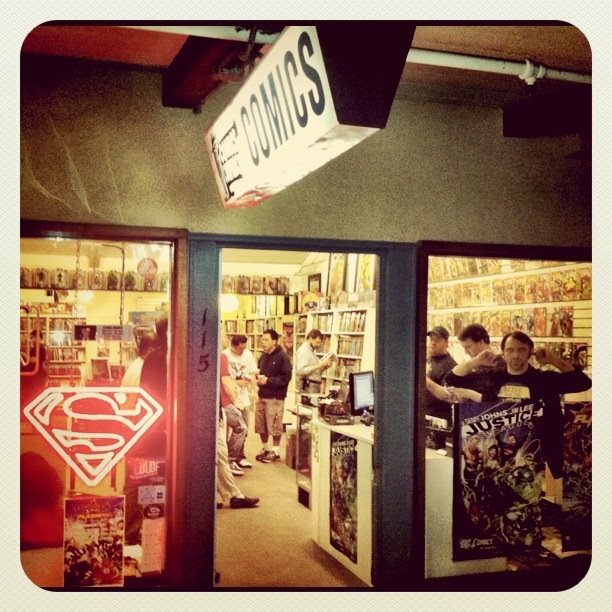 Now get to your computer or local comic book shop to get your fix; it's New Comic Book Day!